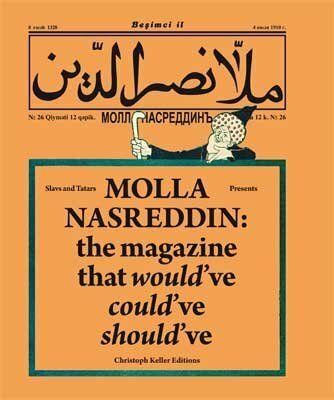 Communism and Islam are the two grand narratives of Central Asia, claim Slavs and Tatars, and they go further: “In fact, Communism and Islam are the two most important geopolitical factors of the 20th and 21st centuries.” With the exhibition Not Moscow Not Mecca in the Grafisches Kabinett and an outdoor installation at the Secession, the collective formed in 2006 writes the “autobiography” of a region that is little known in this country and that bears many names: from Central Asia to Greater Khorasan, from Turkestan to Ma Wara’ al-Nahr—Arabic for “the land beyond the river”. As part of a cycle of works with the title The Faculty of Substitution, the artists pursue with the exhibition but also with the acompaying publication the theme of self-knowledge in the broadest sense. 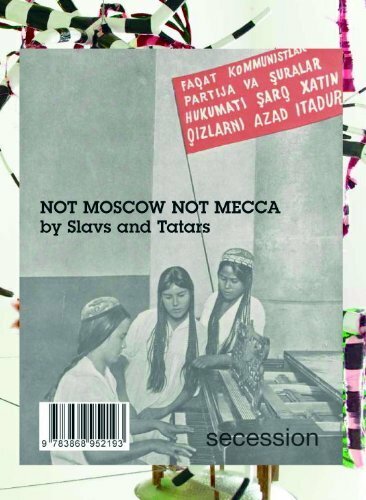 “Substitution,” say Slavs and Tatars with reference to the title, “means the mental agility needed to develop coordination and equilibrium so that we can tell one story through another.” Not Moscow Not Mecca is the title of the show at the Secession—neither, nor. In their ongoing search for a basis for comparison between cultures, between Orient and Occident, between modernity and Islam, Slavs and Tatars discover similarities between things that seem incomparable. These processes of equation lead to an appropriation and reinterpretation of history, a process at odds with the familiar narratives of the powerful and victorious. cm 23×31; pp. 108; paperback. Publisher: Revolver Publishing, Berlin, 2012.